Heat grill. In small bowl, combine butter, chile and adobo sauce; blend well. When ready to grill, sprinkle both sides of steaks with salt and pepper; place on gas grill over medium heat or on charcoal grill 4 to 6 inches from medium coals. Cook 8 to 10 minutes or until of desired doneness, turning once. 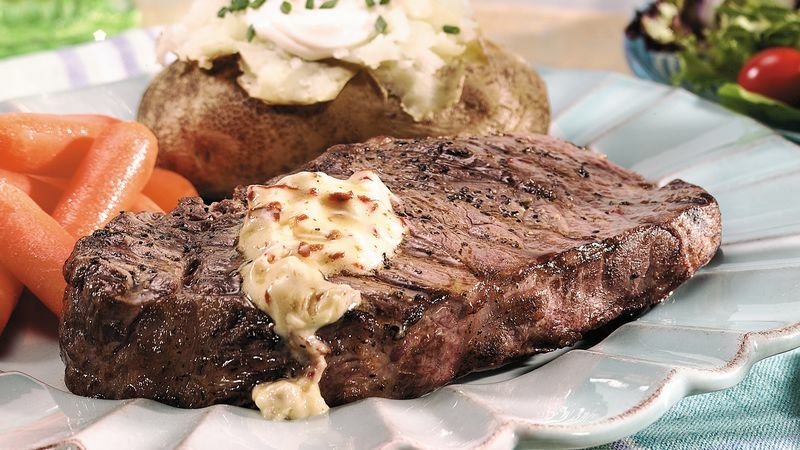 Serve steaks with chile butter.